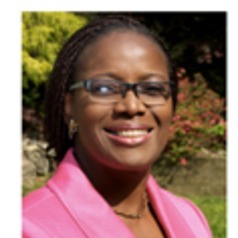 Dr. Olufunmilayo Lesi is a Gastroenterologist and Hepatologist and an Associate Professor of Medicine at the College of Medicine, University of Lagos and the Lagos University Teaching Hospital. She graduated from University of Jos, in Nigeria, received her post-graduate training at the Lagos University Teaching Hospital and served as a Gastroenterology Research Fellow at McMaster University, Ontario, Canada. She has the Fellowships of the Nigerian Postgraduate Medical College of Nigeria and the West African College of Physicians and is also a member of the European Association for the Study of the Liver (EASL) and the American College of Gastroenterology (ACG). She has practiced Hepatology for the past 18 years and was involved in hepatitis and liver cancer clinical research with WHO/IARC in Gambia for 3 years. She is a member of the WHO hepatitis guidelines development group and a member of the Federal Ministry of Health, Nigeria Technical Working Group on Hepatitis. She is also a member of the professional Hepatology Society in Nigeria (Society for Gastroenterology and Hepatology in Nigeria-SOGHIN) and has established a hospital based Hepatitis program in LUTH that contributes to hepatitis awareness and treatment and research in Nigeria.